We had a parkless 4 night trip at Walt Disney World (WDW) over New Year’s Eve. As new Disney Vacation Club (DVC) owners we had the opportunity to book a late stay at the World. (DVC is Disney’s version of a timeshare.) Traveling was myself, my husband and our 5 year old son. As a reminder, I’m celiac and so I have to eat gluten free. As this was a NYE trip I was worried about the crowds and about being bored (since we didn’t have park tickets), but I will give you a preview to the end, we had a great time! So quickly back to the beginning. We became DVC owners in October 2018 after doing the initial information session on the Disney Dream over Labor Day weekend. Disney advised when we purchased that they really want to get us to WDW to enjoy the resorts. In order to do this, they will hold back rooms to rent out to new DVC members that weren’t able to book at the 11 month booking window for their Home Resort. 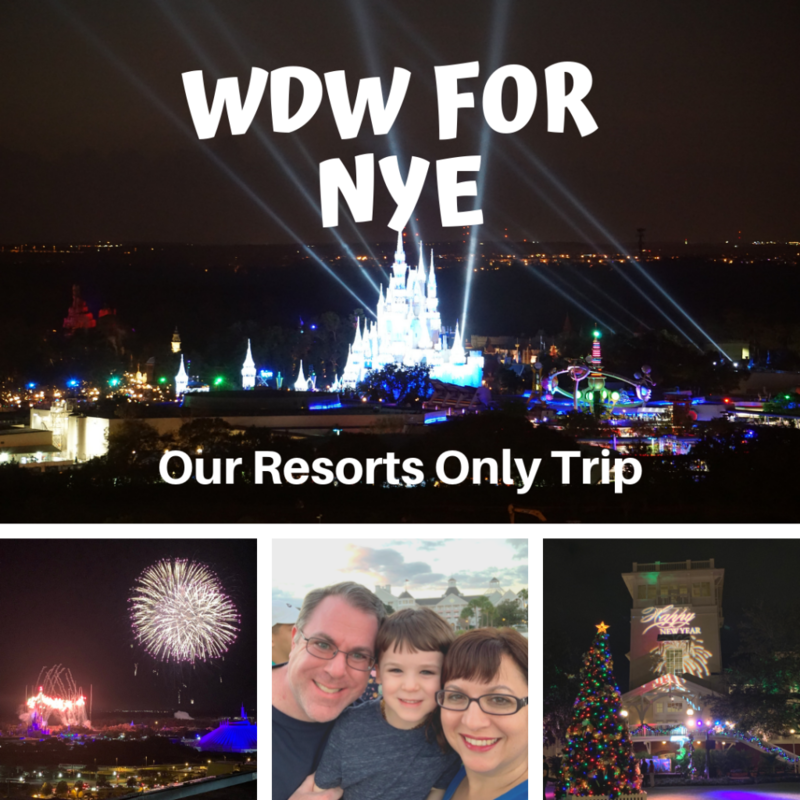 We had no real plans or interest in going to WDW over this New Year’s Eve, but that carrot of availability was dangled over our heads and we just weren’t able to pass up the opportunity to get an elusive resort stay. Thus our trip was born with a stay at Disney’s Beach Club! The main goals for our trip was to see holiday decorations, spend quality time together, experience the Beach Club, and dine at all the yummy places. We were successful at all 3 and my fears of it being crazy due to the holidays was unfounded. But as a reminder, we did not go into the parks. Quickly as to why we didn’t head into the parks. I actually have annual passes for our family. I bought them before the October price increase. However, I didn’t want to use them. I knew if I used them that week I would find more trips to sneak in and we already have 4 planned for the rest of 2019. (And that doesn’t count the Food & Wine adults only weekend that I’m hoping to have.) I did not need tickets burning a hole in my pocket as a reason to sneak any more trips in during the year. Our first trip to the parks in 2019 will be late April. I didn’t think using the tickets at the beginning of the year would be as financially prudent as waiting and then I will have them for spring break 2020 as well. One of my fears was that we would have long lines just to check in for dining. Except for at Chef Mickey’s, we didn’t have this issue. (And I feel like Chef Mickey’s always has a huge line with only one person working to check people in.) Dining was a breeze. We tend to eat early and we didn’t have to wait long at all for our dining. I was actually glutened at Chef Mickey’s even though my meal was brought to me by a chef from the back. Unfortunately this is a risk of eating at any restaurant, even at the places that handle allergy dining the best. After that dinner, I messaged Disney on the MDE app just to let them know the items that I ate so that they wouldn’t serve it to someone else. As a gesture they refunded our dining credits. My unfortunate glutening turned into a magical experience. Because I had an extra dining credit, we looked for a signature restaurant. (Pro Tip: If you have sit down dining credits that you just don’t think you can use before your trip is up, look for 2 credit meals to eat up some of those extra credits. (Pun Intended.) Signature restaurants and dinner shows are 2 credit experiences at Walt Disney World. We were so happy to have scored a last minute reservation for California Grill at Disney’s Contemporary Resort. Our meal at California Grill was delicious and enjoyable. We all enjoyed our signature meal here. 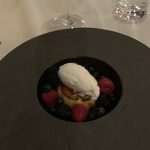 Their gluten free dessert menu was not extensive, but they happily worked with me to make the creme brulee something I was more interested in. (We added fruit and whipped cream.) It turned out excellent and our chef wanted to try it that way himself later. Fireworks aside, I don’t know that this is worth two credits on the Disney Dining Plan. The math just doesn’t add up for the DDP. But since we were able to have an amazing view of the fireworks, and we received an extra credit from Disney, it was worth it for sure. Also, I would not hesitate to pay out of pocket to eat here again. Such a memorable dinner! We dined at Trattoria al Forno, at Disney’s Boardwalk Inn. Sadly it was disappointing this time. My gluten free noodles were undercooked the first time, and they replaced them but only them so the rest of the meal was cold. Both my husband and I were underwhelmed. The character dining at the Beach Club, Cape May Cafe’, started out with some service issues but ended up being a perfect meal for us. The character interaction was as expected and the food was good. I didn’t have any issues and the chef happily brought my food from the back. This was actually a good meal. I’m surprised that I was glutened and am still not sure how that happened. But the service was great, the character interaction was great and we all had a good time. My son exclaimed, “Thank you Mommy and Daddy for bringing me here.” Makes it all worth it! We went here 3 times over a 4 night trip. If we didn’t have so much food over the rest of our trip, I’d have gone back more! I can’t get enough. In fact once we paid a ridiculous amount of money to have it shipped to our house. I could eat PB Cup for Win everyday for the rest of life! Yum. 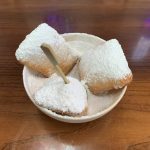 Located in Disney Springs this along with Cookes of Dublin was a part of my most favorite dining locations anywhere in the world. However, their previous amazing chef left and people are being glutened there and they don’t have as many options as they used to. I intended to use a quick service dining credit to eat gluten free fried chicken tenders at Cookes but they are down a fryer and as of NYE 2018, they were not serving the chicken tenders. I had to pay out of pocket to get carry out (hello quick service) from Raglan Road. It was still super tasty, but it cost more, and I couldn’t use my dining credits. We all enjoyed this meal. My son had a grilled cheese. It took some effort to get it on regular bread, as opposed to a hamburger bun, but ultimately we were successful. My husband and I both ordered fries and that was a mistake. We had WAY TO MUCH FOOD. It was very tasty though. D_Luxe burger offers a dedicated fryer for gluten free fries as well as a gluten free hamburger bun. So it basically gluten free heaven. I met Sarah from Gluten Free Dairy Free WDW here at Disney’s Port Orleans Resort for gluten free beignets. They were AMAZING as usual and personally meeting Sarah was a nice plus! Having the rental car makes jetting off to another resort a breeze. We are the minority, but we are not fans of the pool, Stormalong Bay. Most love the sandy bottom, the lazy river winding throughout and the hustle and bustle of it all. We are not hustle and bustle people but are instead quiet pool people. In fact we were lucky enough to have swimming weather every day of our trip and we took advantage of it in the quiet pool twice. Overall there are plenty of pluses to make this resort a good choice. It’s not my family’s top choice, but a good choice none-the-less. We loved this family getaway and we were all so glad we did it. 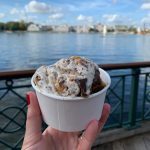 Even when it was time for my husband to pack to go to Europe 10 days later and when we packed for our cruise on the Celebrity Edge right after that, we still didn’t regret taking this trip. 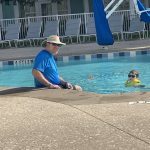 I don’t know that I would jump to stay at the Beach Club again (unless I had an Epcot heavy trip planned) but I loved our park-less trip to Walt Disney World over New Year’s Eve. If you have any specific questions about our trip, please feel free to ask in the comments below. 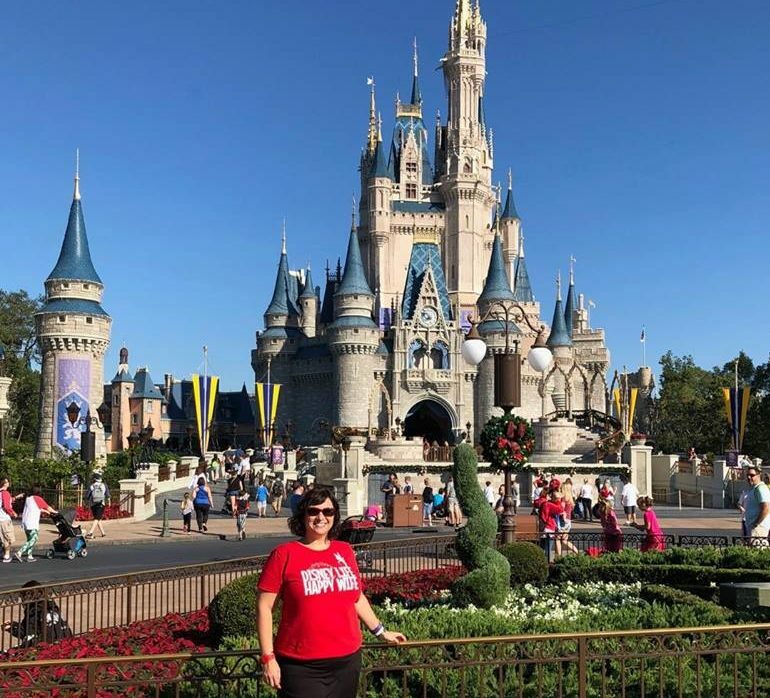 My husband and I love to make quick trips to Disney World and not necessarily visit a park. The resorts are amazing, they have activities scheduled throughout the day, and mild weather in Orlando means pool season most of the time. Glad you had a good time.